The last time I talked about Destiny was in the article about my experience with the “First Look” Alpha. I mentioned that it was a great preview to the game and that I was looking forward to the upcoming Beta. This time I’m here to talk about my initial impressions of that Beta, how it differed from the Alpha, the things I did and what I’m excited about in regards to the full game release on September 9th, 2014. As was the case with my article about the Alpha, all images used in this article were taken and uploaded by me thanks to the PlayStation 4’s Share button. The Beta was made available to PlayStation 3/PlayStation 4 users on July 17th and Xbox 360/Xbox One users on July 23rd, officially closing down on July 26th. There were various ways to get codes for the Beta, but the easiest way to get one was by pre-ordering the game. I received 3 codes, one for myself and two to give to friends, because I pre-ordered the game. If your buddy pre-ordered it they could give you one of their extra codes or you could get one by watching various Twitter accounts, Facebook pages, websites, etc. Basically, if you wanted one bad enough it was easy to get a code. Unlike the Alpha, the Beta has a heavier focus on the game’s narrative. We are introduced into the story and are given a few story-based missions to complete rather than having the focus be on the gameplay/game basics. 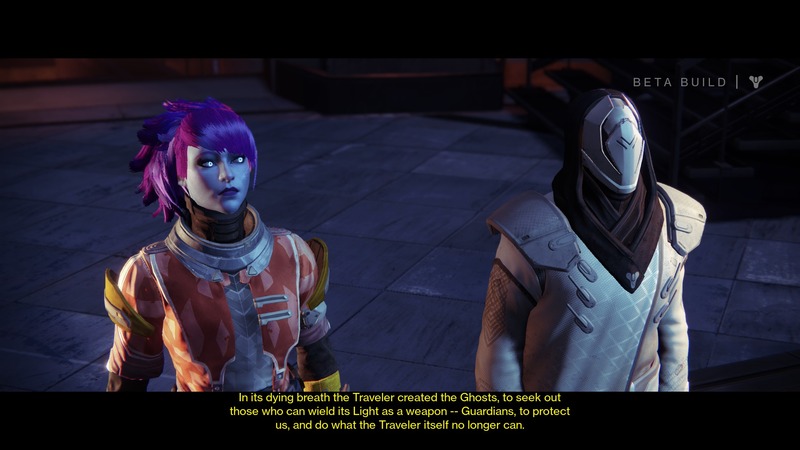 I thought it was really neat to be able to experience Destiny from a narrative perspective since not a whole lot has been said about the storyline yet. Both the Alpha and the Beta have been fun to play but it’s great to get a preview into the narrative, now I’m more pumped than ever to get a hold of the full game. On the flip side, there was a lot of repeat side missions and challenges. Not everyone got access to the Alpha, I barely got in myself, so I was able to understand why there was overlap. It was brand new for a lot of people and even those who were involved in the Alpha will get new content with the Beta so it’s a win/win. This time around I spent a little time in the Crucible which is basically the PvP or competitive multiplayer section of the game. It was tough to get used to but once I got the hang of it I had a lot of fun. 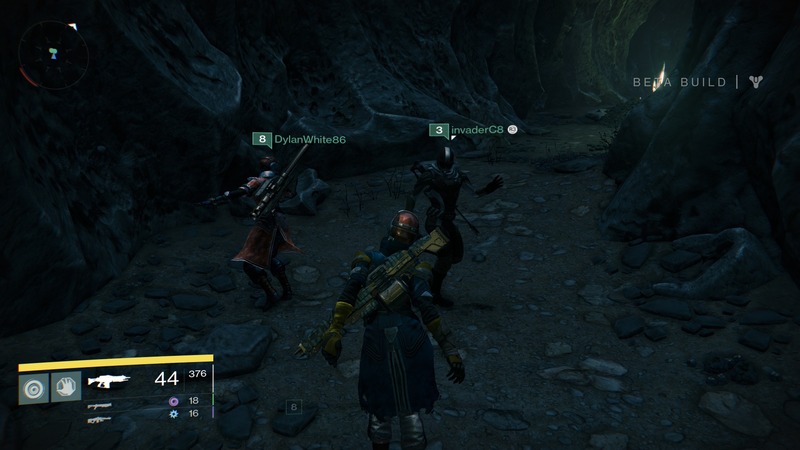 You can play with random folks or with your Fireteam (your friends) and there are various game modes so there is a lot to do when you don’t feel like playing the more cooperative side of the game. I also had the pleasure of participating in various community challenges. These occur at random and take place around the map. Community challenges play out just like you can image they would, given their title; you and all others in the area must work together cooperatively to eliminate a challenging threat. These are next to impossible to accomplish on your own so you’d better hope that there are other folks around or with you when one of these challenges begins, otherwise it’s probably best to simply run the other way. Overall I had a great time with the Beta. I was able to make it to the max level (level 8) and complete a lot of challenges, acquire some really great gear and get a good look at a preview of Destiny’s storyline. If the Beta is an indication of what to expect from the full game then there is a lot to look forward to. This game is smooth, fluid and downright fun! I’ve heard various complaints about the Beta in regards to connectivity and other minor issues but I’d like to encourage all of the people making the complaints to remember that this is only a Beta, not the full game. For what it’s worth, the Beta runs well and looks fantastic. 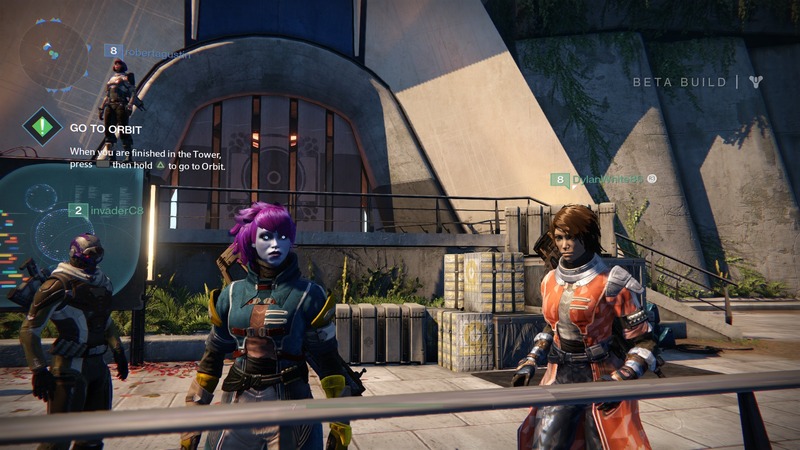 When and if you get a hold of the Destiny Beta I suggest you sit back, relax and have yourself a good time. Oh, and make sure to participate in plenty of dance parties! 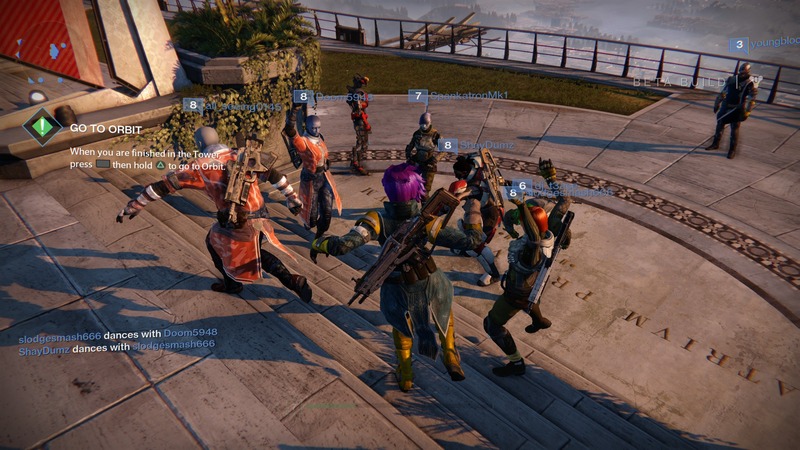 The best way to wind down after a battle is a little Fireteam dance party. Loving the beta even more than the alpha. This is the first FPS since MAG that I’ve enjoyed PVP in. I’ve actually played more Crucible than anything else in the beta thus far. I see you went with an Awoken in the beta. Nice choice! (I did too, and probably will in the full release). Looking forward to the beta starting back up. If you need a fireteam member, invite me. My hunter is ready to rock and I’m always down for PVP (unless it’s the damn moon map). Nice! 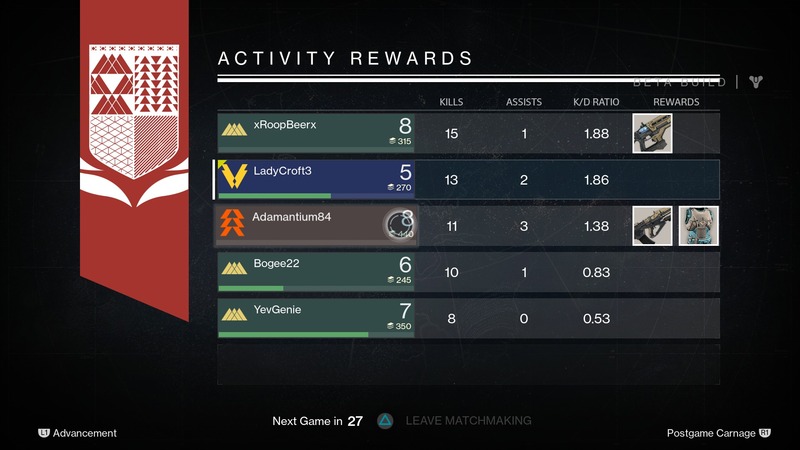 PvP is definitely fun in Destiny, though I strangely find myself liking the co-operative mode more. I think the Crucible needs to be balanced a bit, which I’m sure will happen in the full game. Trying the PvP once was enough for me to see where it will go. Basically it was Halo PvP. And this is a compliment in almost every way. What really hooked me was the PvE. I love the locations, and how Bungie managed to pull off the best design decissions to make it enjoable for me. 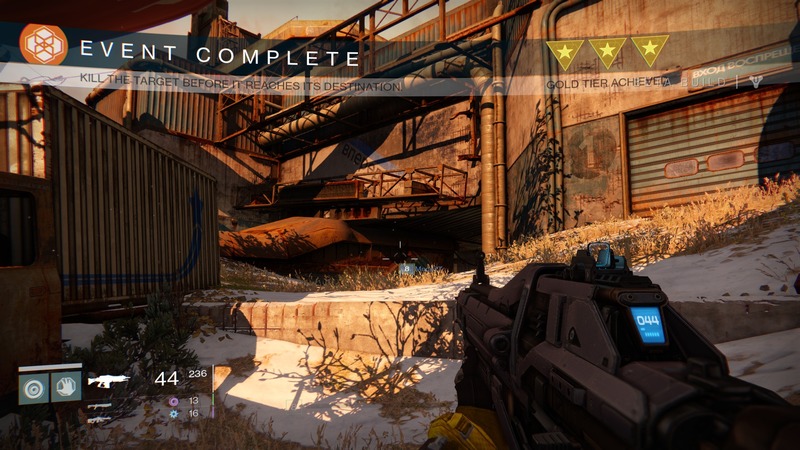 I am the explorer type of a games and Destiny provided the best experience in a shooter so far. Quests guided you to unique places and supported exploration by rewarding the player almost every time. Awesome leveldesign and a pacing at a very high level.